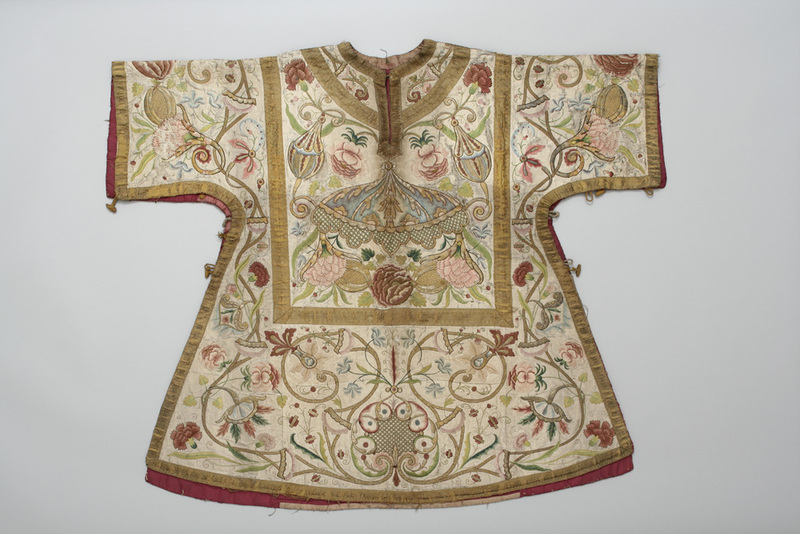 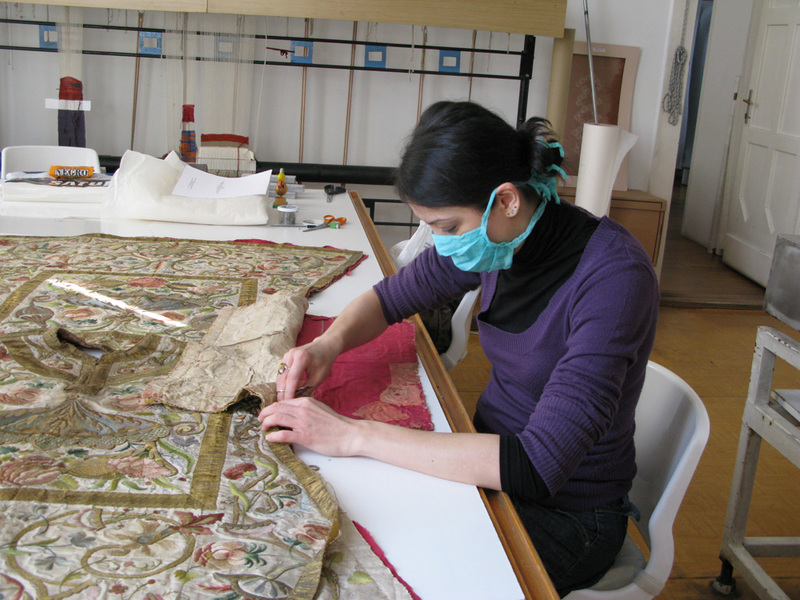 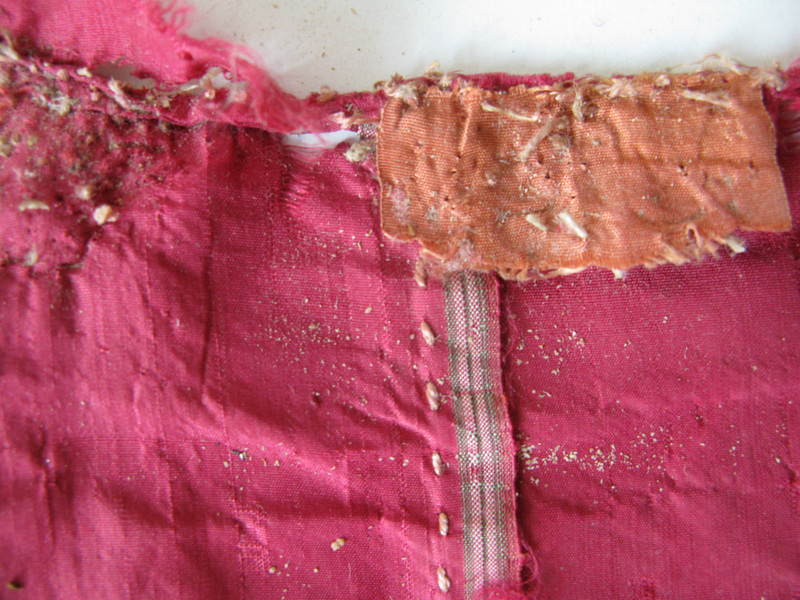 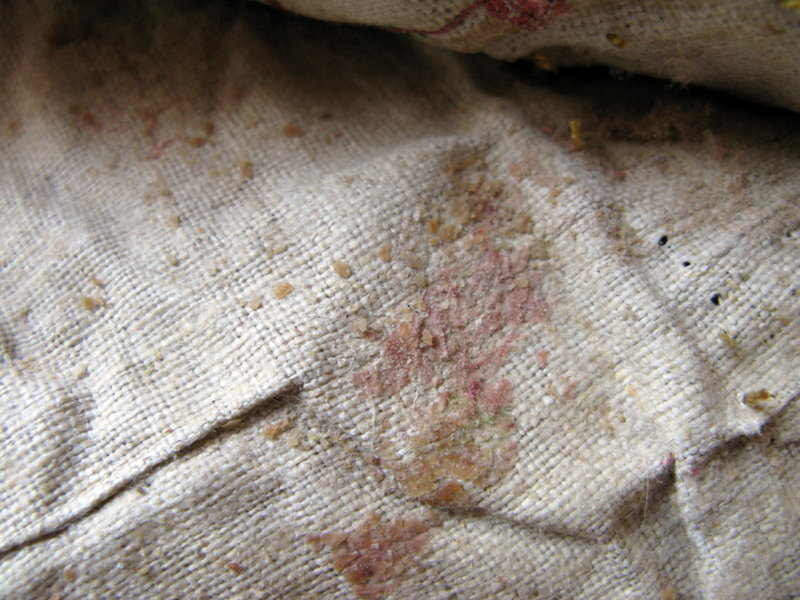 The dalmatic’s contaminated, ragged, weakened condition made the restoration necessary. 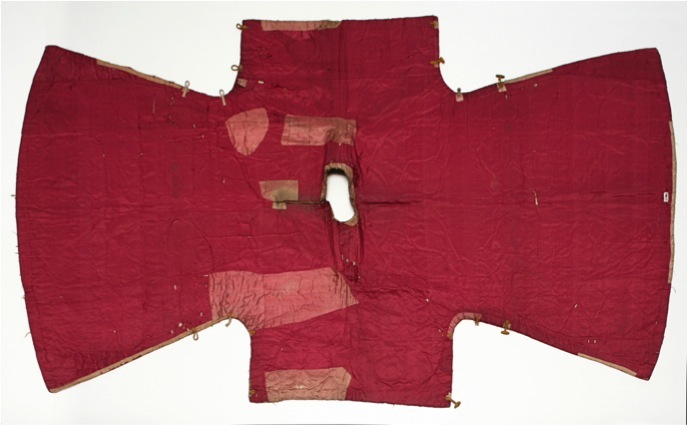 The cleavages and absence of the base textiles where accompanied by damages to the embroidery, so the alum-tanned leather parts came to light. 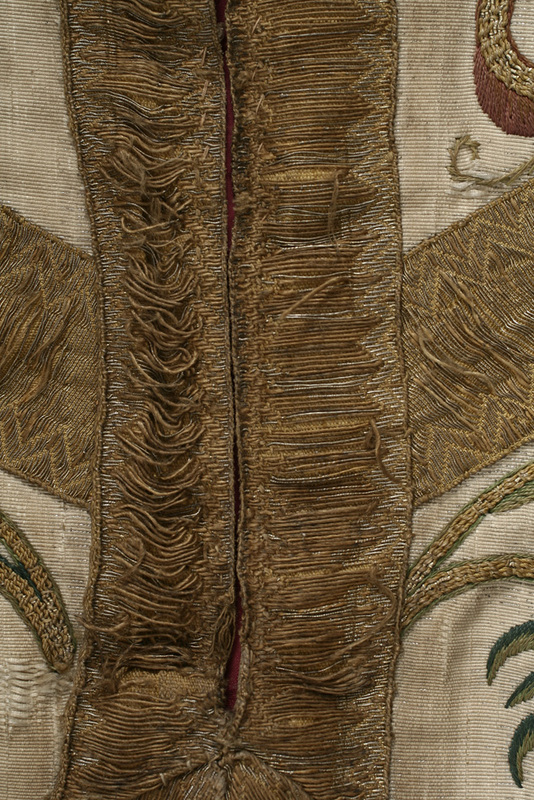 The clothing is framed by soutaches in several lines that have been damaged as well. 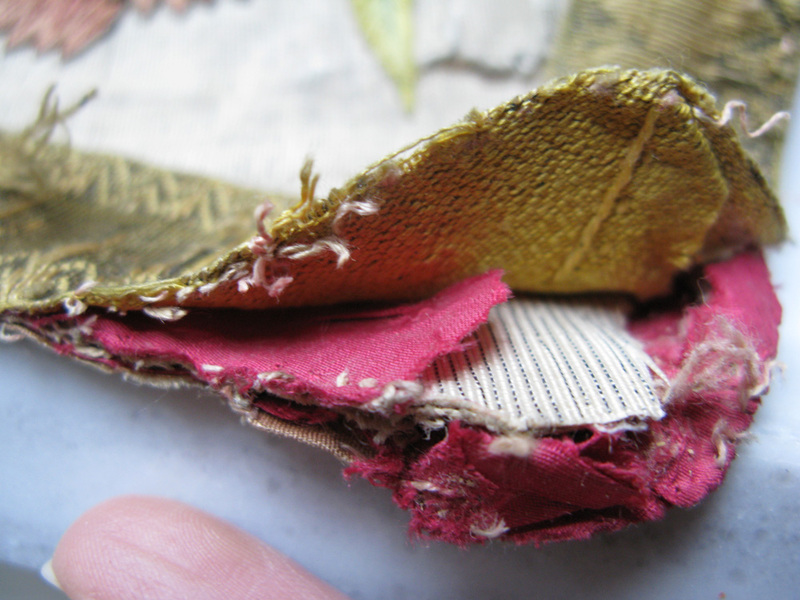 The bracing glue between the textile layers has dried out, hardened and adhered down in pieces which heavily damaged the upper layers too. 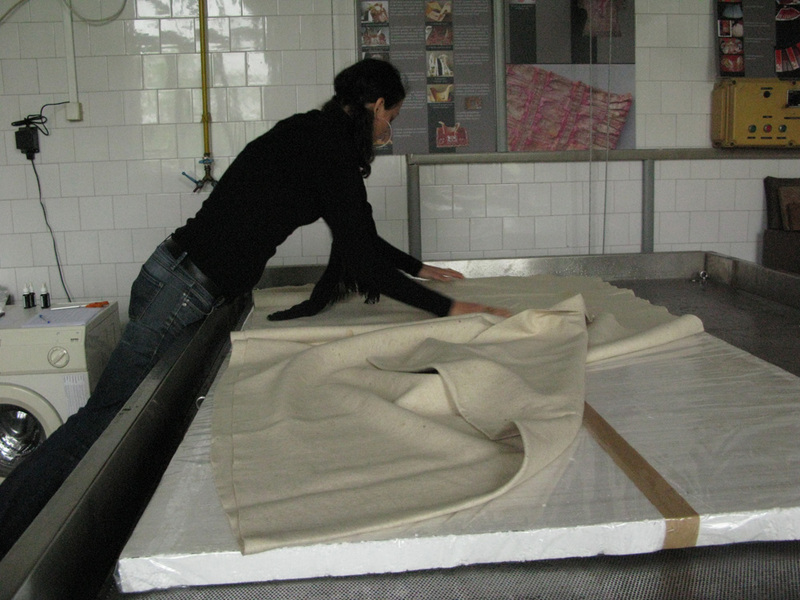 After first examination I dry-cleaned the object, and after reduction of the glue content cleaning with the humifying method became possible. 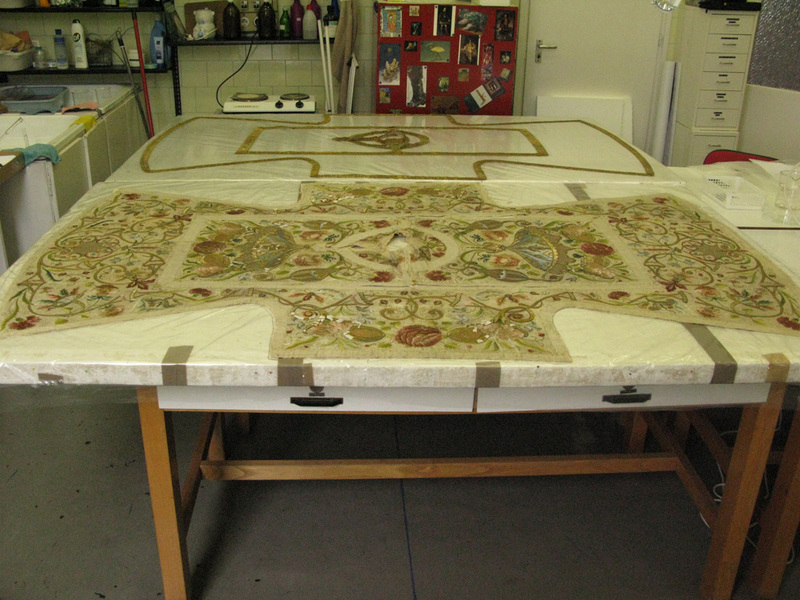 I used a specially constructed frame for drying and needling due to the dalmatic’s deformed shoulders. 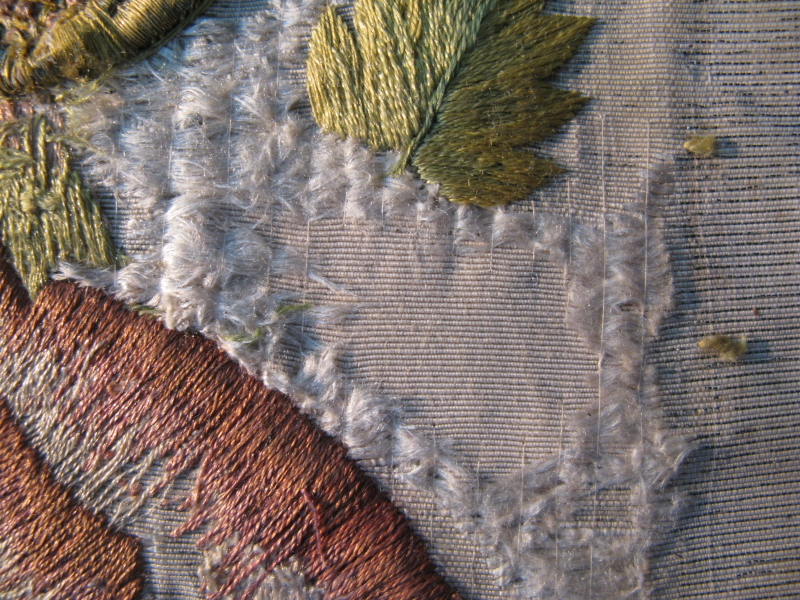 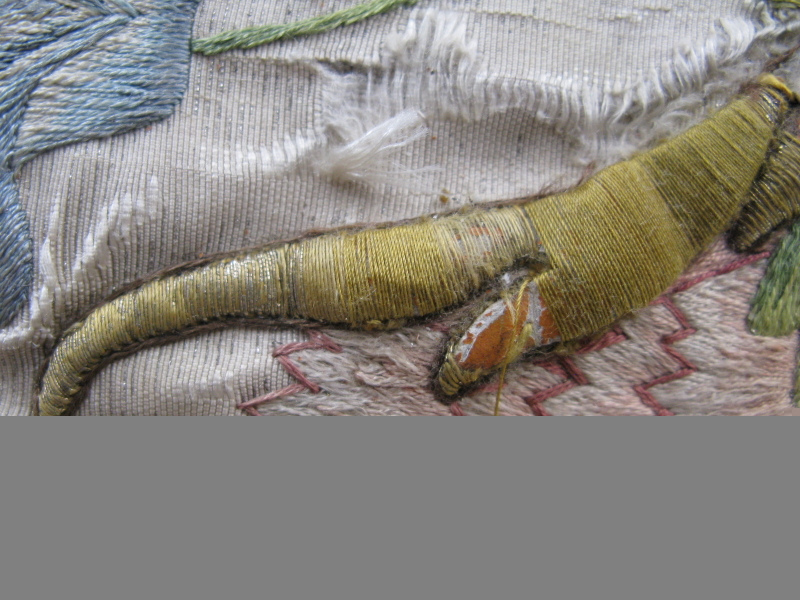 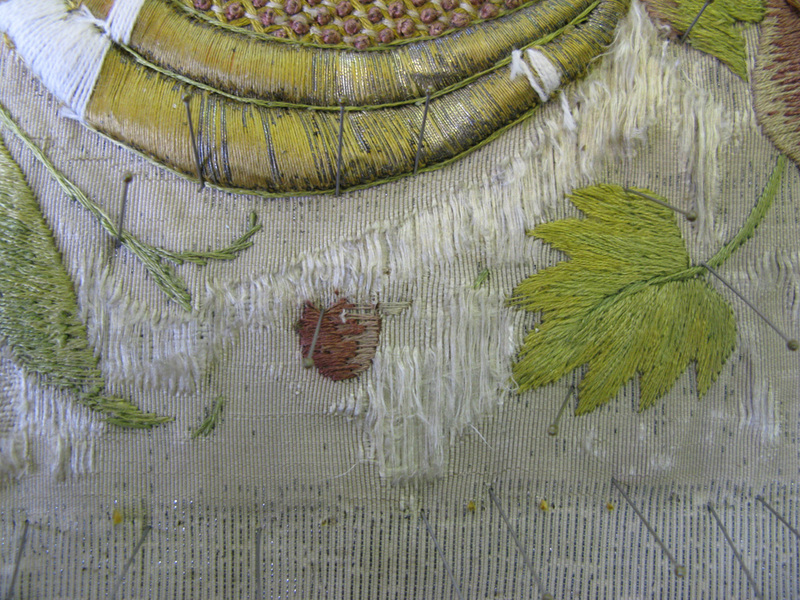 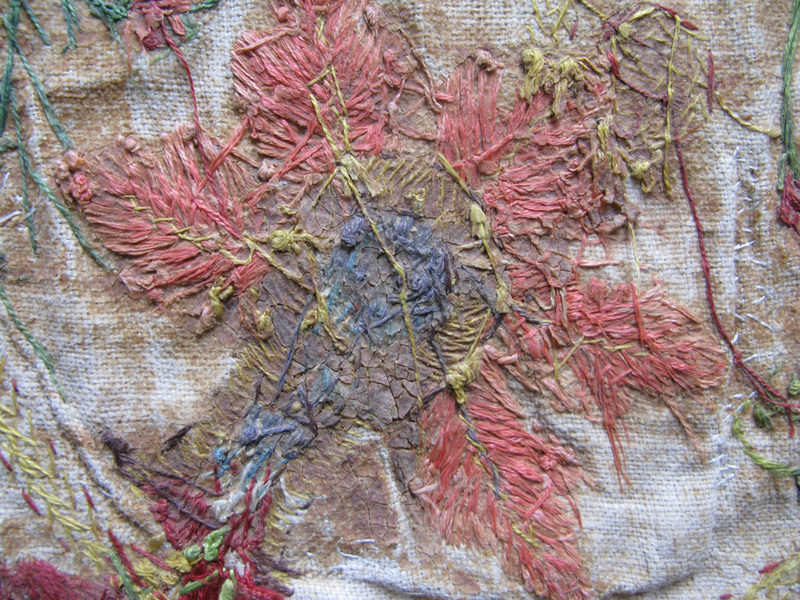 After cleaning I fixed the textiles with the appropriately coloured silk thread and broad stitches. 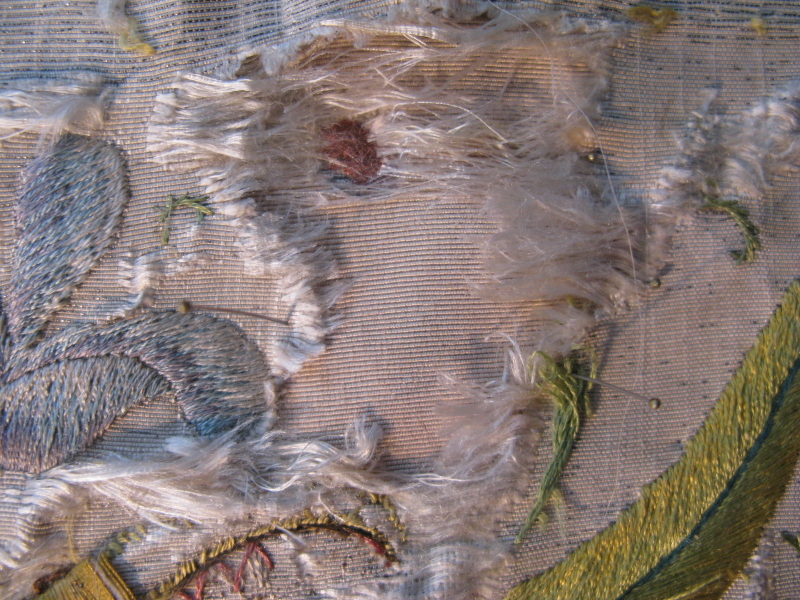 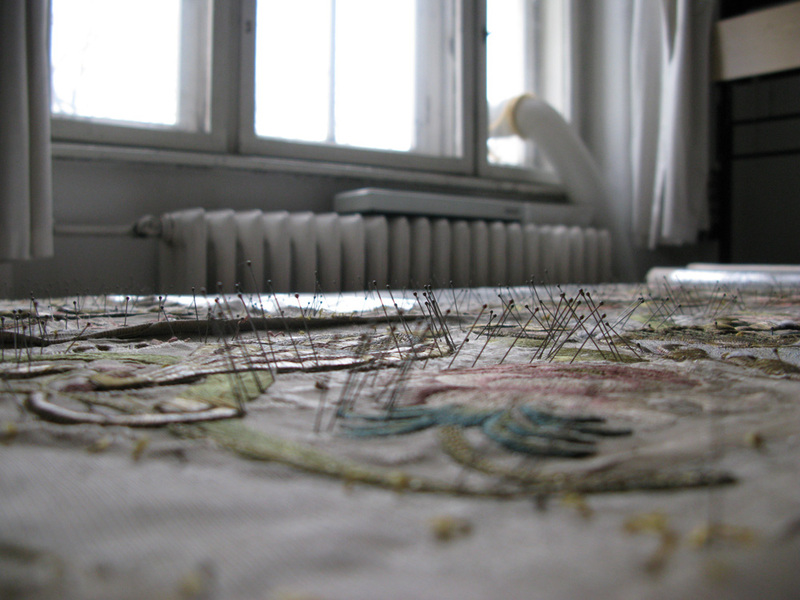 I completed the missing parts by implanting coloured silk textile and silk threads. 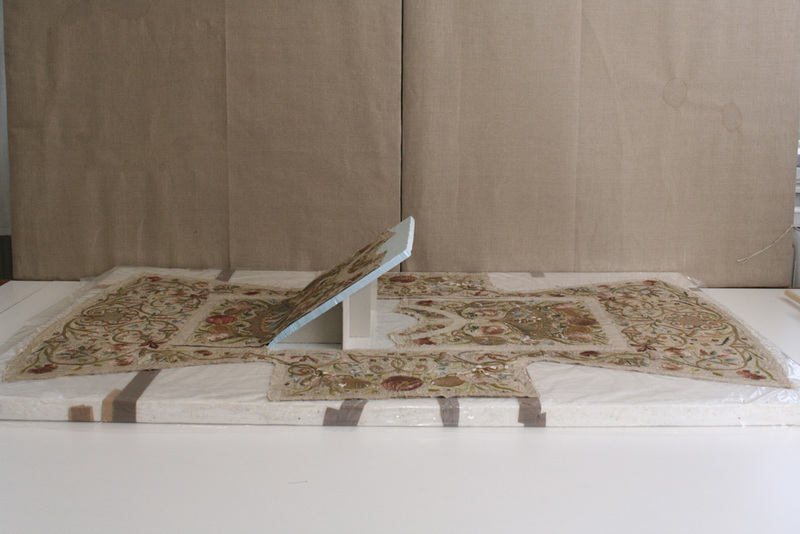 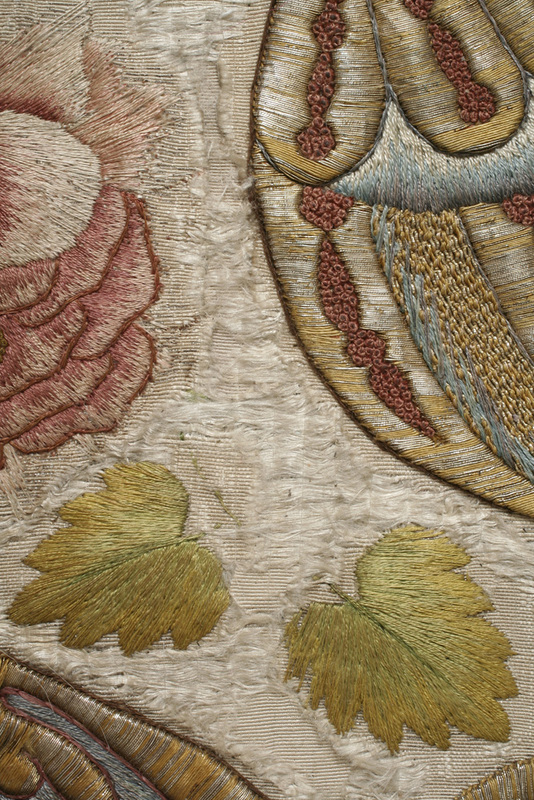 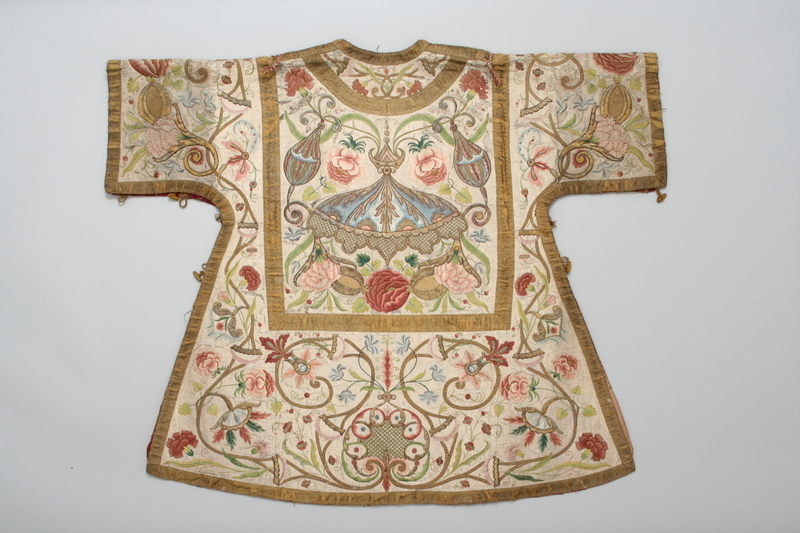 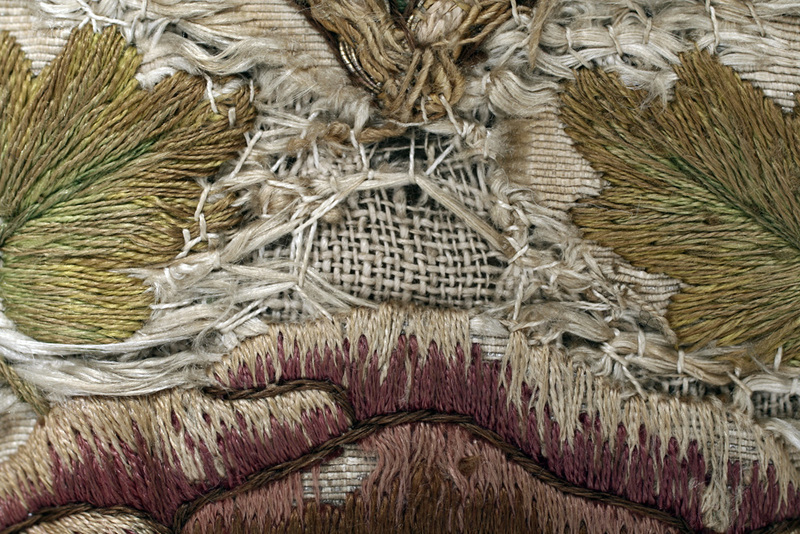 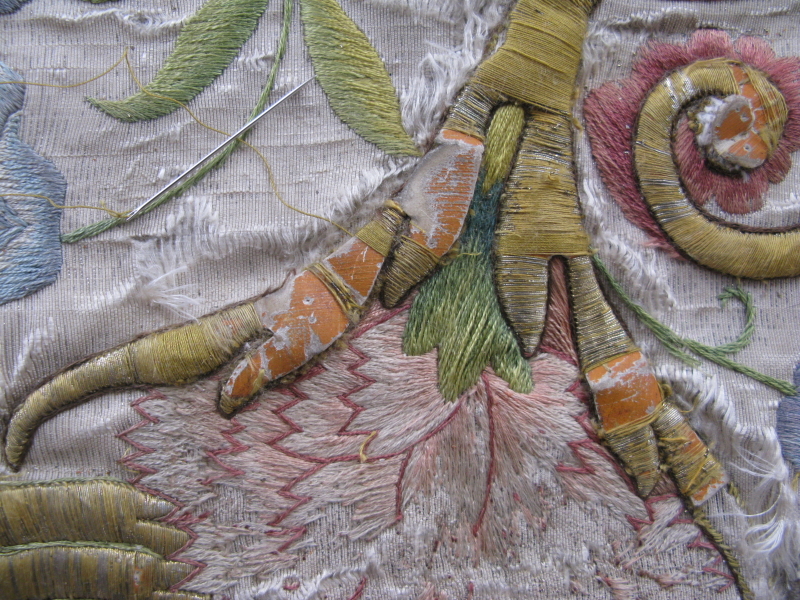 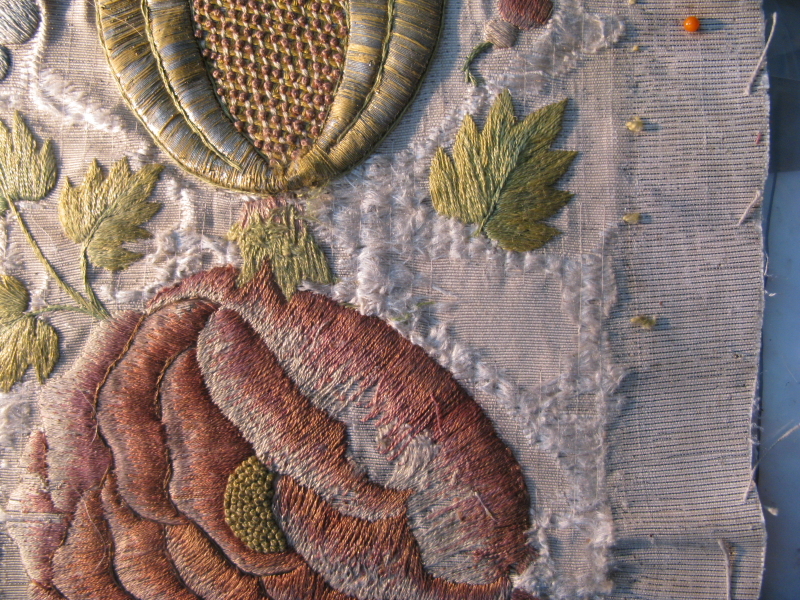 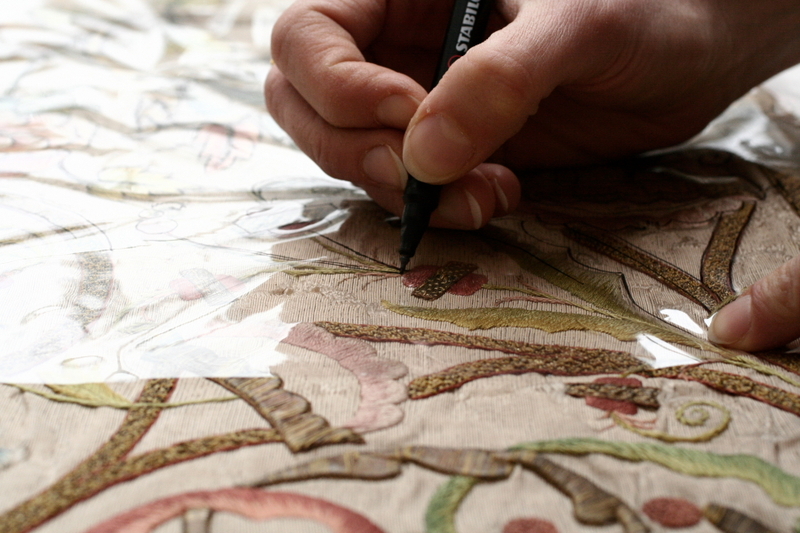 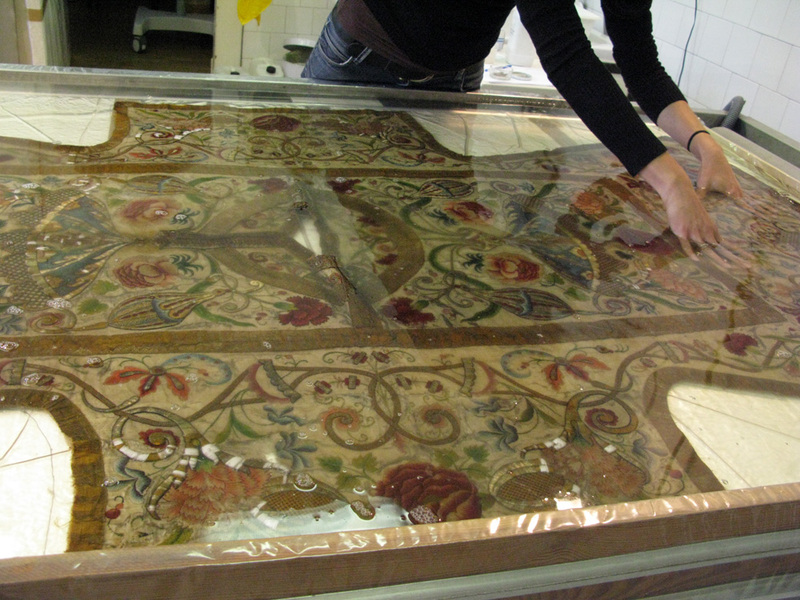 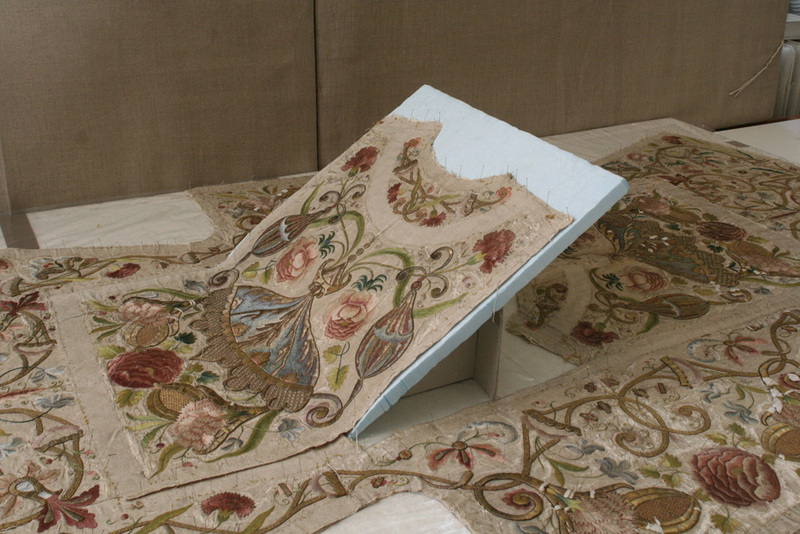 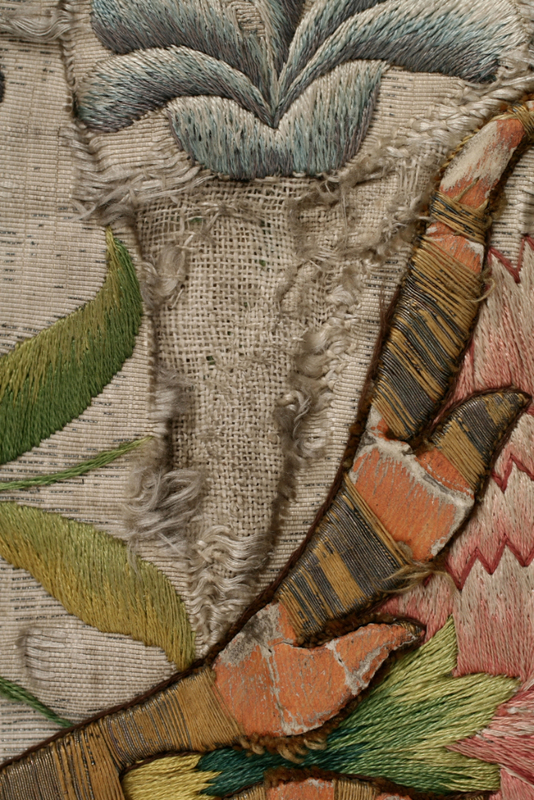 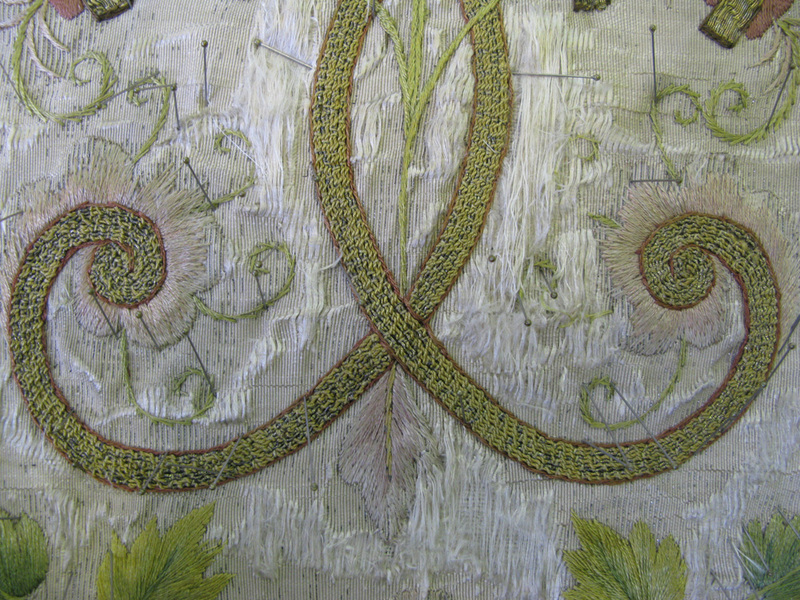 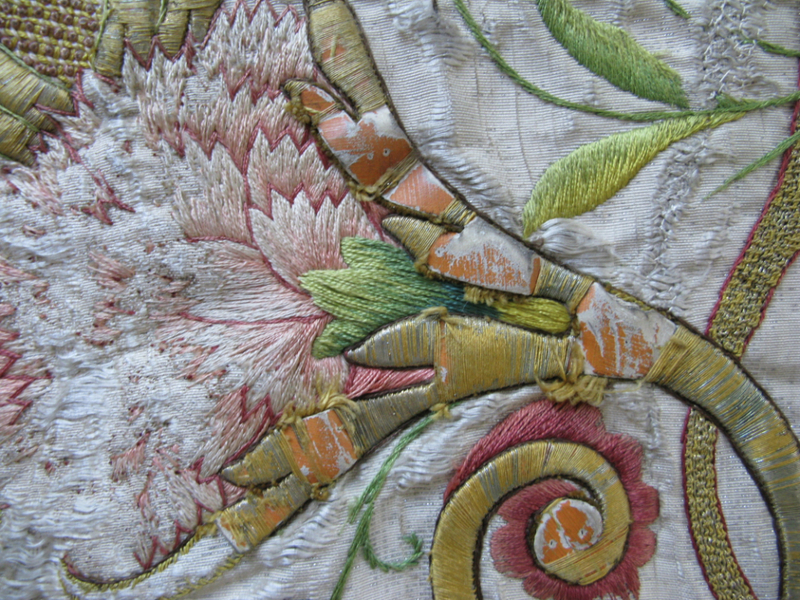 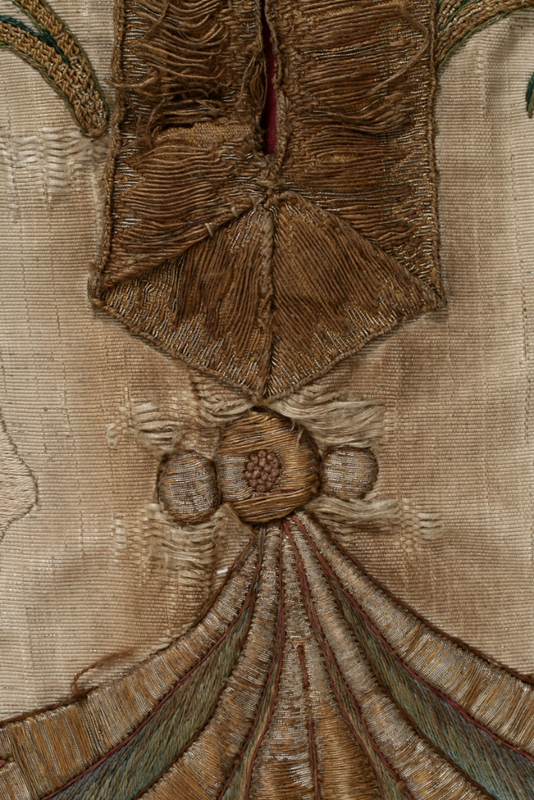 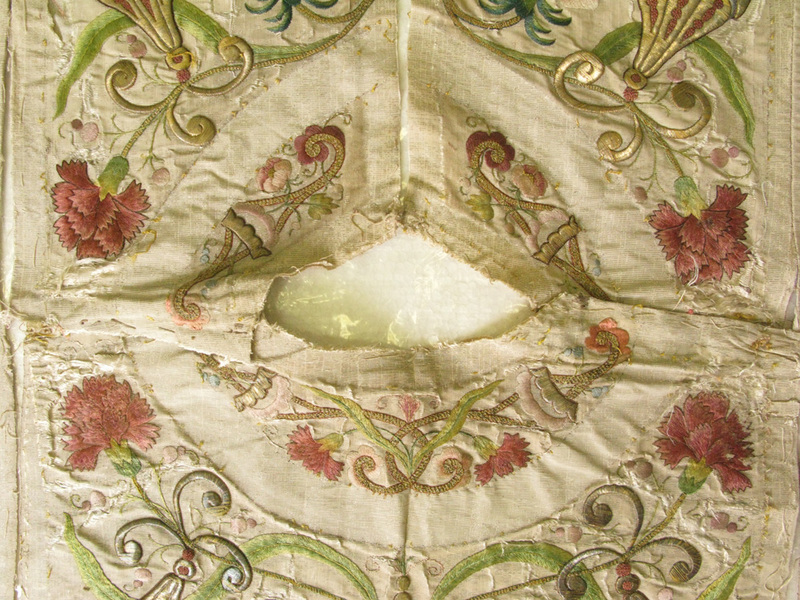 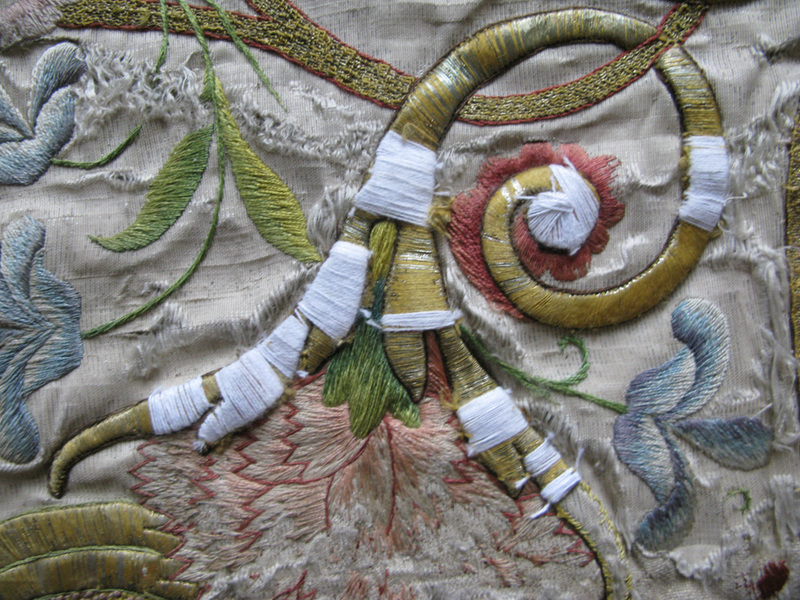 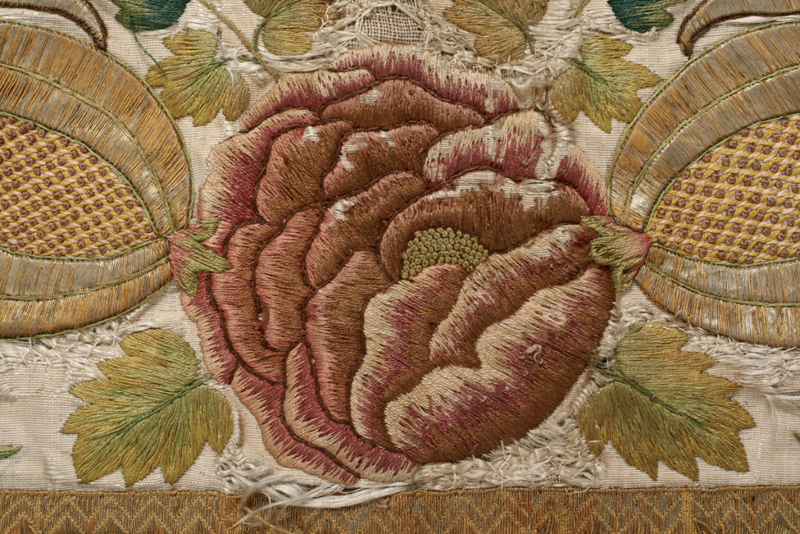 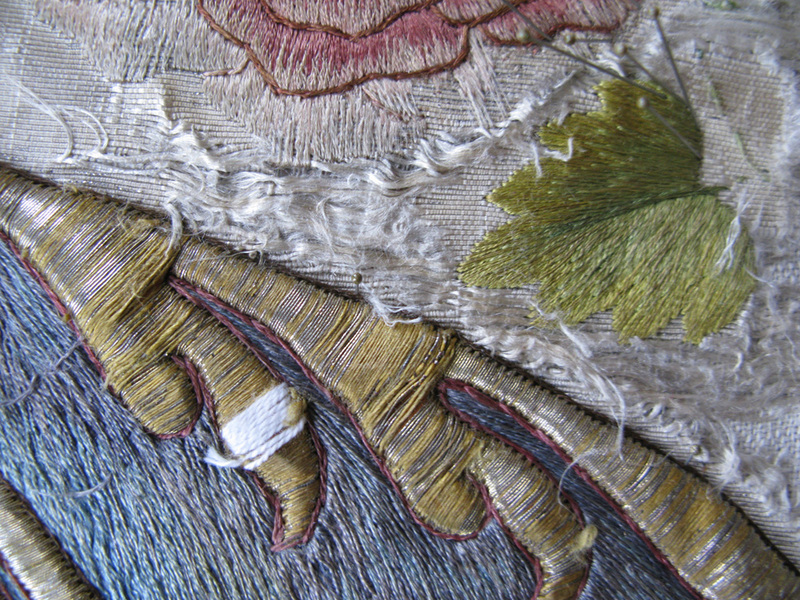 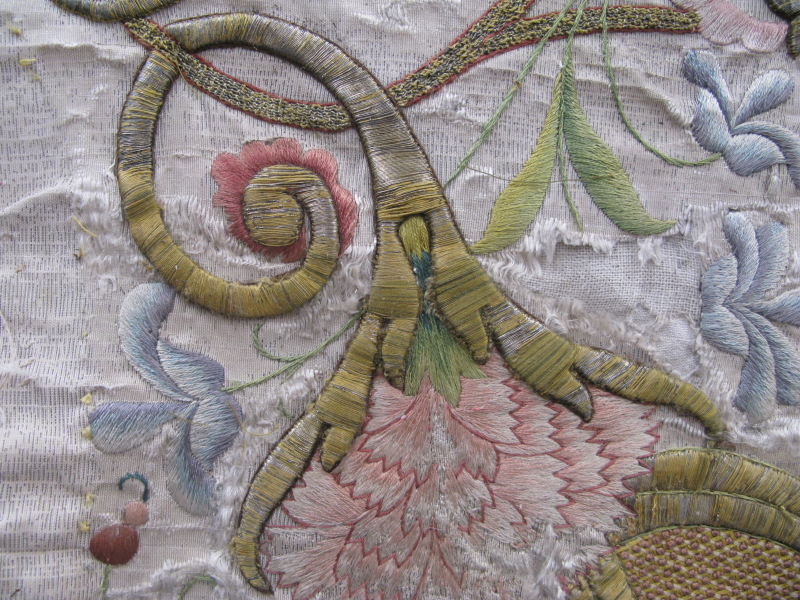 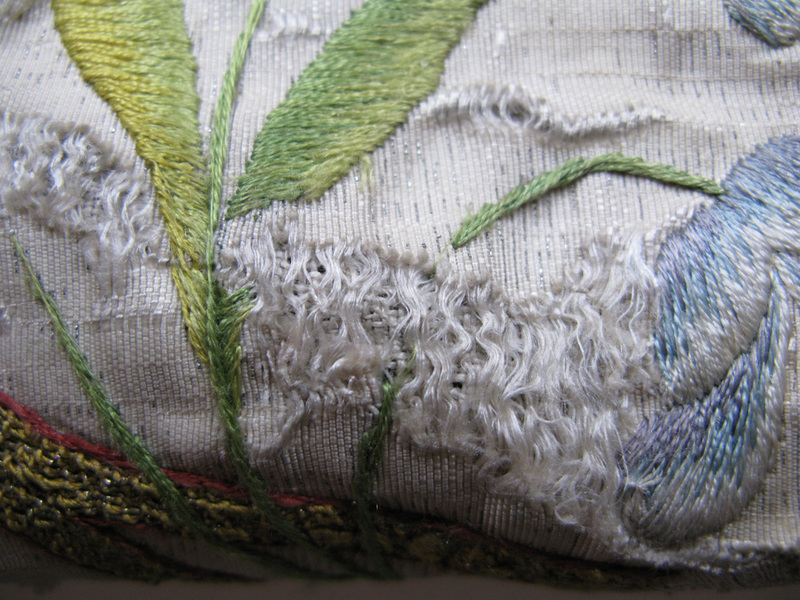 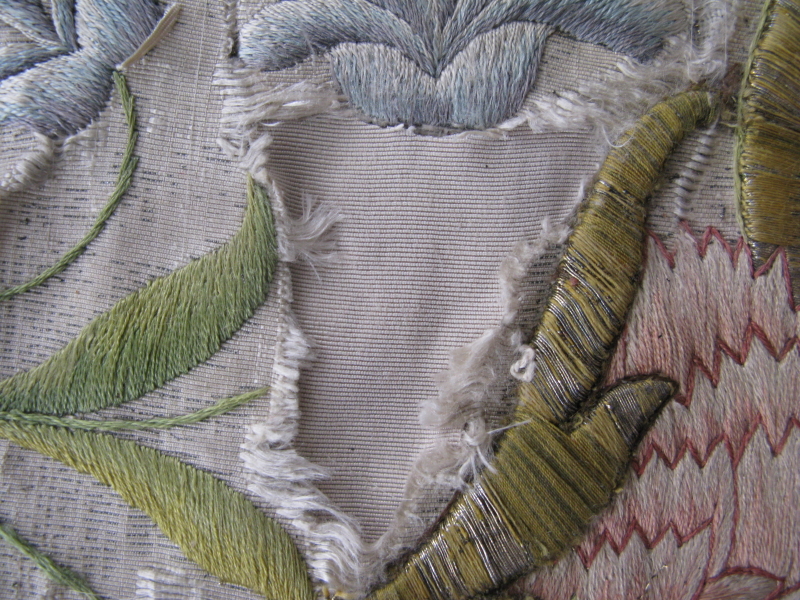 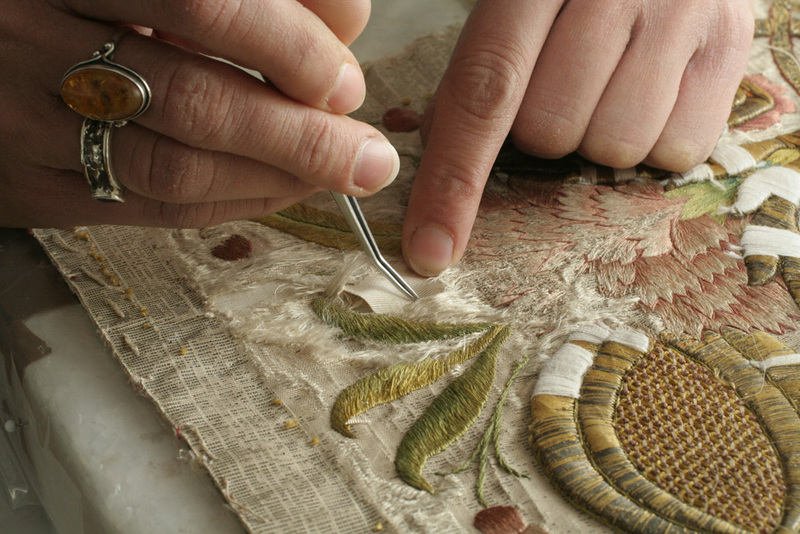 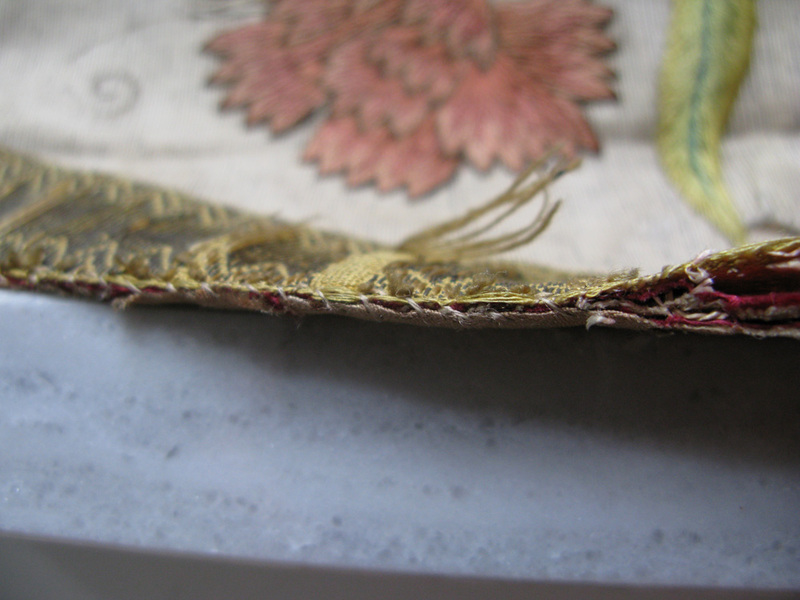 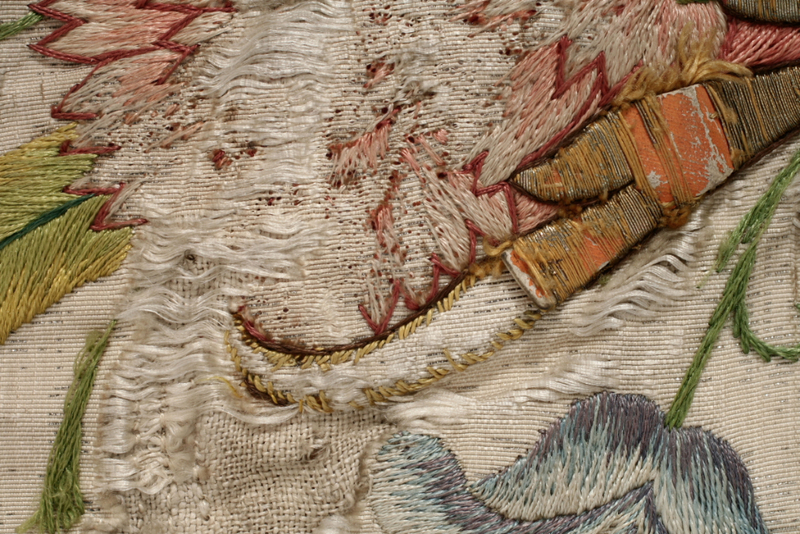 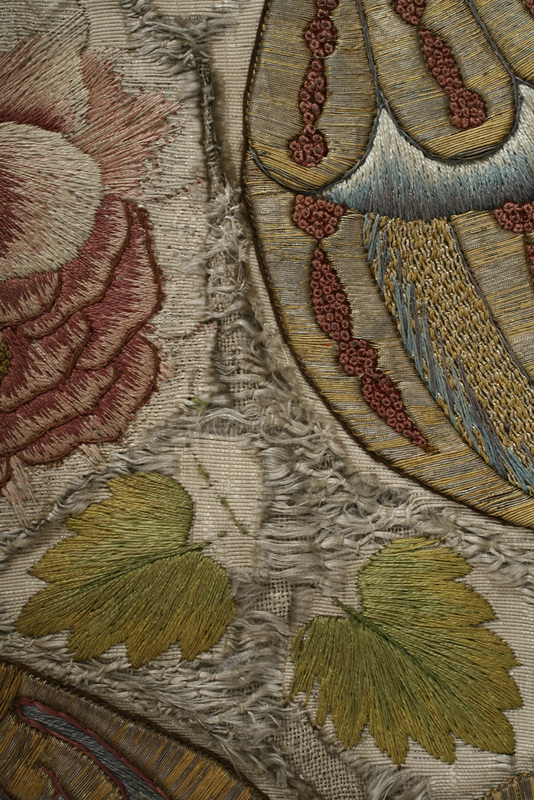 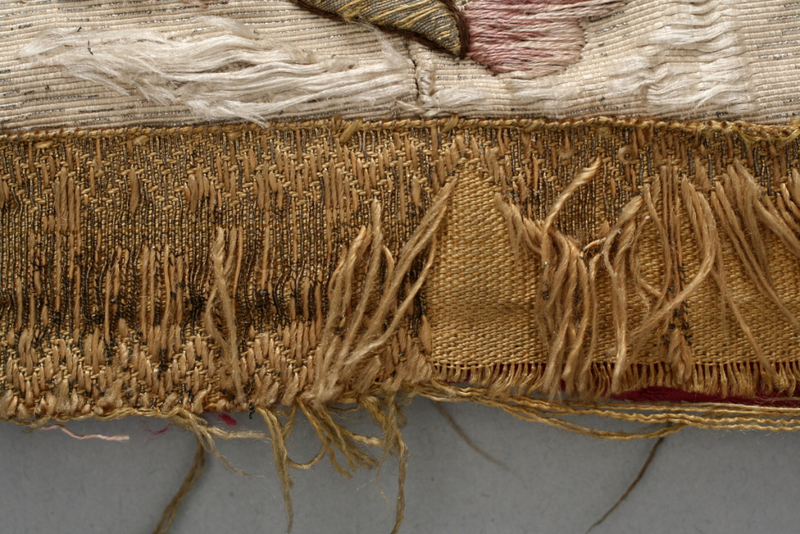 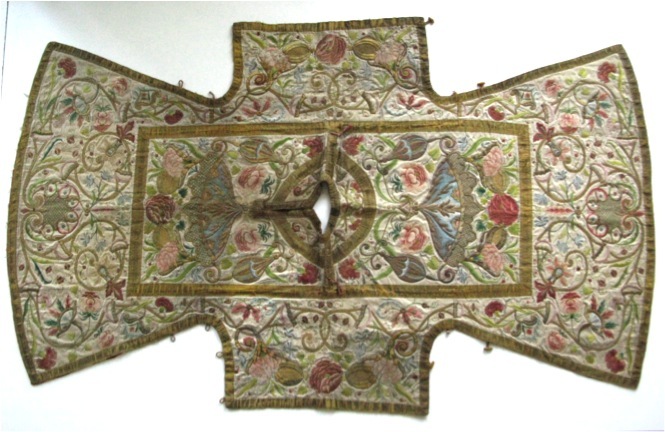 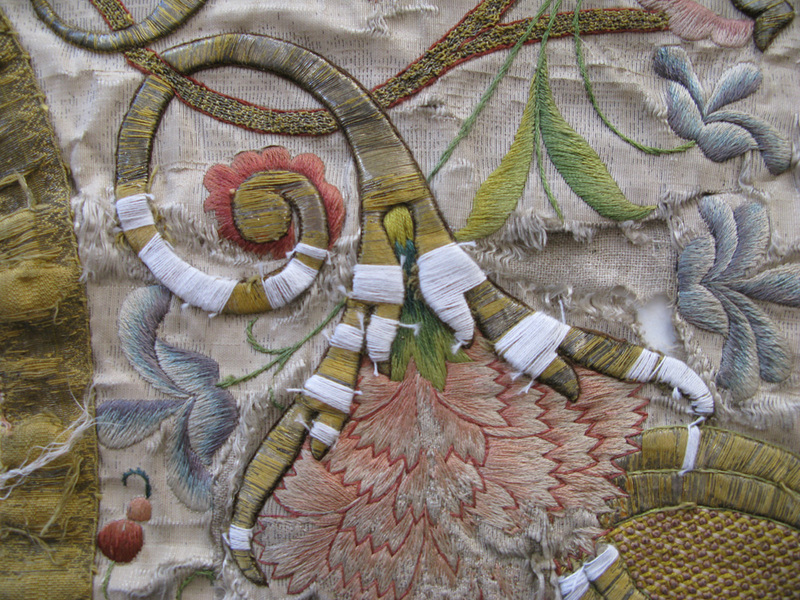 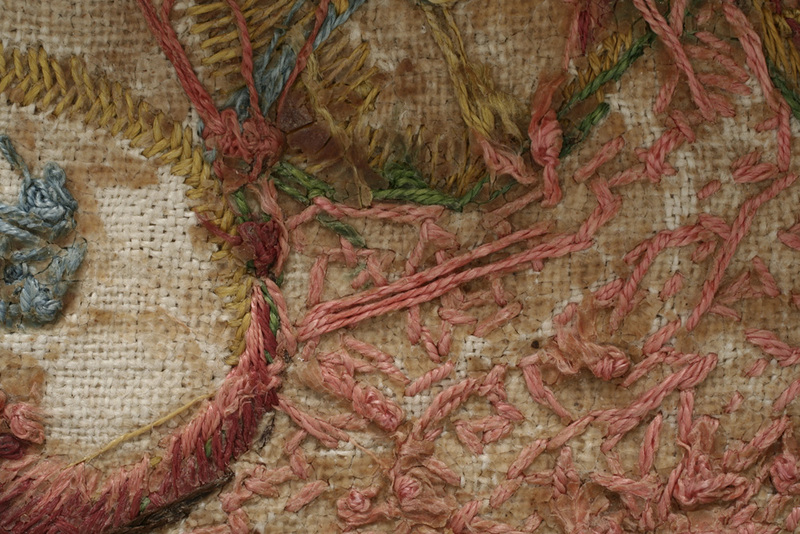 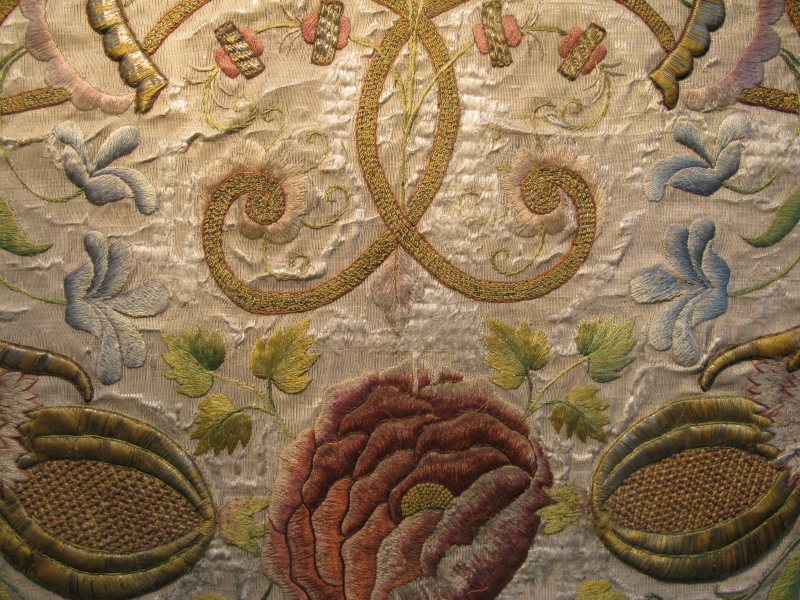 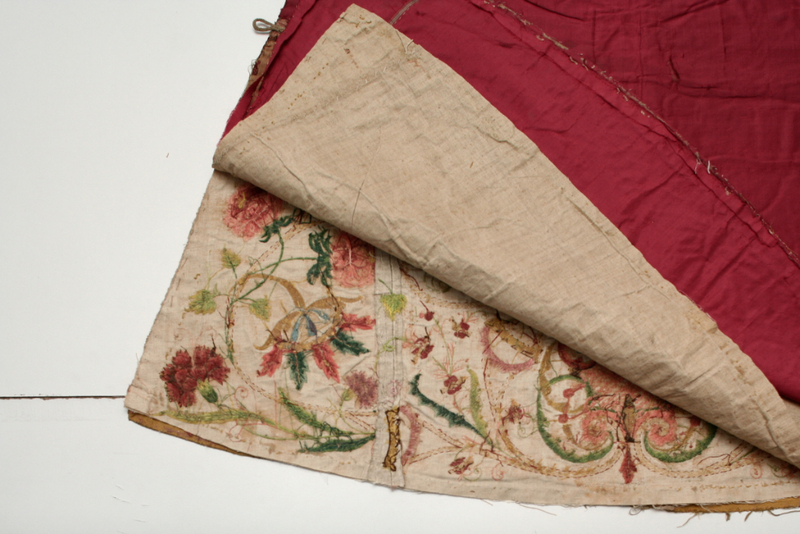 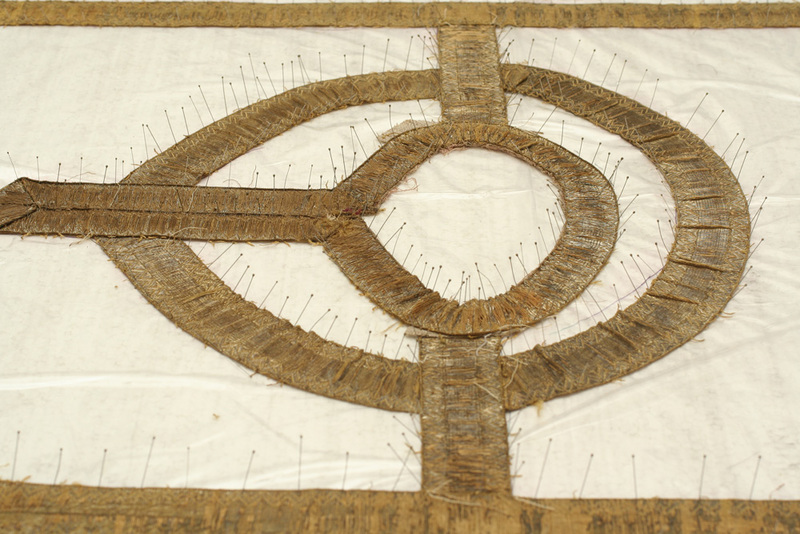 The damaged convex embroideries were conserved with the original stitching technologies and coloured cotton strings. 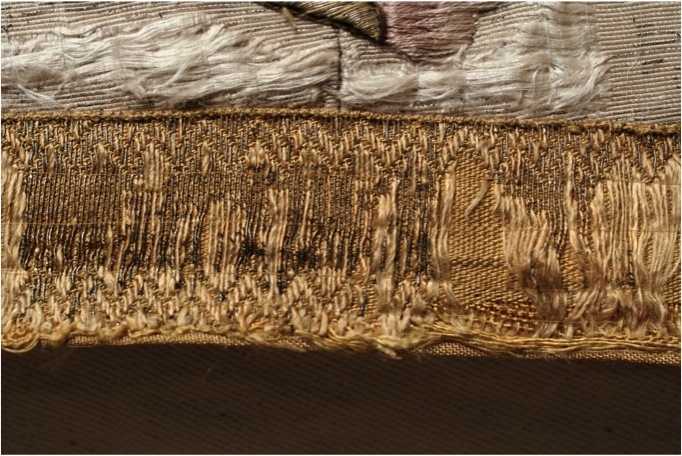 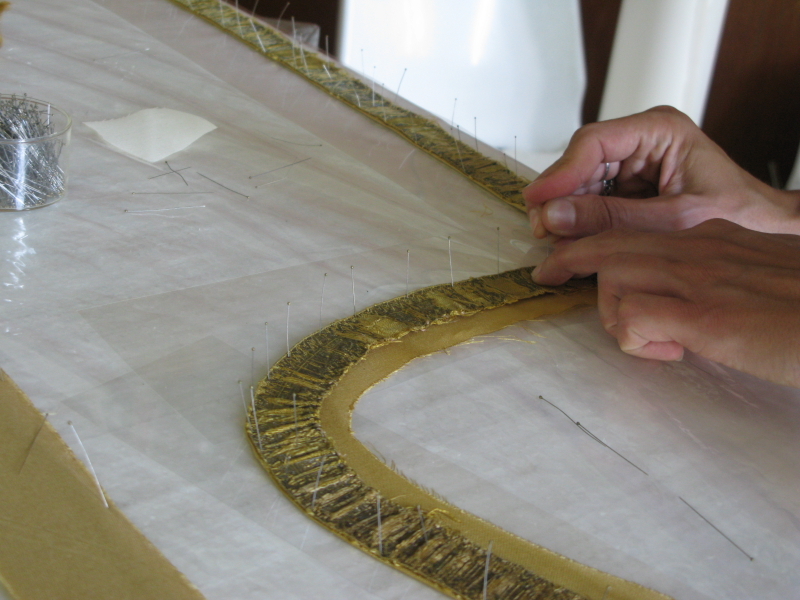 The soutaches got a separated treatment: after a humifying cleaning I supported them with silk and fixed the floating strands with untwisted silk thread. 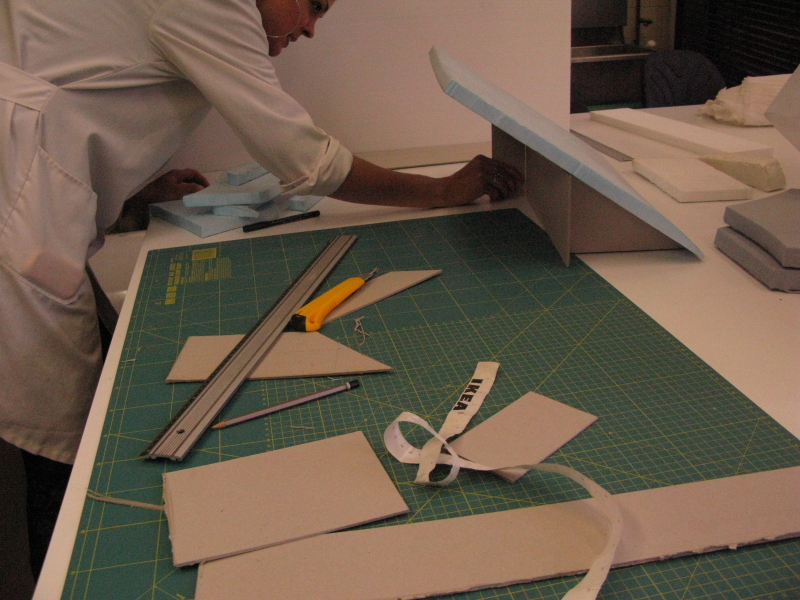 At the end I pieced it together and created a framework for exhibition. 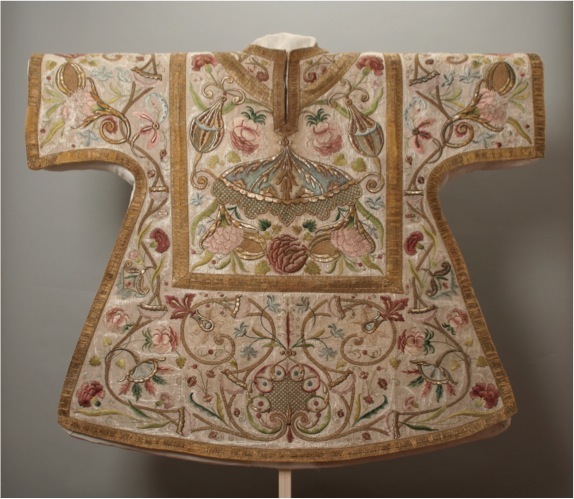 This entry was posted in Ecclesiastical vestment on 2013/09/12 by admin.